Jessica Chinchiolo is a speech-language pathologist in Elk Grove, CA. Practice Type: • Home Health Agency - Client's Home Practice Areas: • Speech Language Pathology • Speech Therapy Take the next step and contact Jessica Chinchiolo for a consultation in Elk Grove, CA or to get more information. Kathleen Clifton is a speech-language pathologist in Roseville, CA. Practice Type: • School Practice Areas: • Speech Language Pathology • Augmentative Alternative Communication Take the next step and contact Kathleen Clifton for a consultation in Roseville, CA or to get more information. a The Gift of Speech is a speech-language pathologist in Stockton, CA. 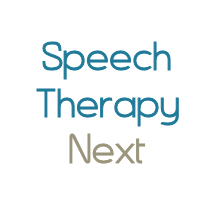 Practice Type: • Office Practice Areas: • Speech Language Pathology • Speech Therapy Take the next step and contact a The Gift of Speech for a consultation in Stockton, CA or to get more information. Jillian King is a speech-language pathologist in Auburn, CA. Practice Type: • School Practice Areas: • Speech Language Pathology • Augmentative Alternative Communication • Autism • Cognitive-Communication Disorders Take the next step and contact Jillian King for a consultation in Auburn, CA or to get more information. Jean Piette is a speech-language pathologist in Auburn, CA. Practice Type: • Self-Employed Practice Areas: • Speech Language Pathology • Speech Therapy Take the next step and contact Jean Piette for a consultation in Auburn, CA or to get more information.